Media and newspapers are reporting from Bruxelles about 2 explosions at Zavantem airport. There are some images from Social Media that show smoke rising from one of the terminals. At the moment the cause of the blast are unknown. Departures and arrivals from Bruxelles are stopped. BBC reports that “some from the scene speak of casualties but this has not been confirmed”. The blasts come four days after the capture in Brussels of Salah Abdeslam, the main suspect in the Paris attacks in November. 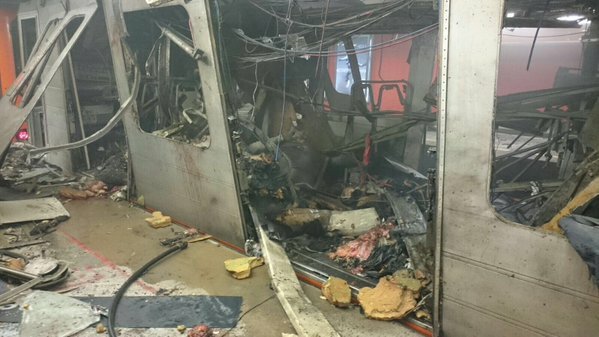 3 blast were reported: 2 at the airport and 1 in the Malbeek Metro Station, near the European Parliament.The attacks come four days after Salah Abdeslam, the main fugitive in the Paris attacks, was seized in Brussels. The Belgian government says there have been casualties at the airport but has given no numbers. The cause of the explosions has not been confirmed.